You ever feel as if you’re standing on shaky ground? You ever feel like your back is against the wall and can’t see any way out? Majority of us have felt this way at some point, and many of us are in that predicament right now. Everyone wants to live a stress-free, peaceful life but it seems like some of us just can’t catch a break! We continue to pray to God and ask why are we in this storm and when will it all be over. Your patience is running thin and giving up seems like the easiest thing to do. Truth is, we ALL need a reality check: CHECK YOURSELF. Do we ever think the reason why our blessings or breakthroughs are on hold is because of…US??? Yes, you and I. Every storm doesn’t come from the devil. Sometimes God will allow the storm to surround us in order for you and me to get our foundation together for the better. Most of our blessings are hanging from a string. God truly wants to pour them out to you and me but many of us can’t handle it or be trusted. We can be our own worst enemy. We want more financial blessings to come our way but tithing and being good stewards over what we already have is not something most of us are currently doing. We’ve been believing God for a husband or wife but yet there is still unforgiveness harboring in our hearts because in the past, the person you gave it to hurt and betrayed you. We say we want a deeper relationship with God but we spend 5 hrs or more a day on social media, watching TV, fulfilling our desires and only 15 minutes in prayer to Him. The only person holding you up is YOU! There comes a time when we get tired of being sick and tired and only want the abundant life that God has readily promised us. We know what changes we need to make but the sad reality is that most people want the blessings and not God. 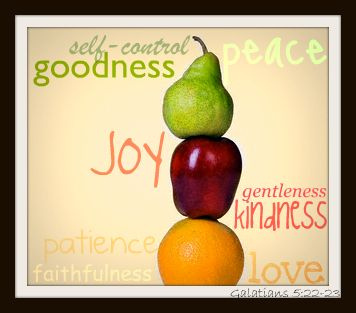 Choose today to get our foundation straight and take on the fruits of the Spirit as stated in Galatians 5:22-23. No matter how young or old we are, discipline should never get away from us. We need to always strive for the better. Learn to replace lying with integrity, unforgiveness with forgiveness, hatred with compassion, and procrastination with pushing. Push towards the abundance that God desires for all of us to have. There are a lot of blessings God really wanted to send our way a long time ago, but because of us and are stubbornness, we’ve been missing out. It’s never too late. Make up your mind today to put the desires of the flesh behind you and reach forth for the life that Jesus has set before us. When He went to the cross, it just wasn’t for our sins; it was also so we could have life. An ABUNDANT life! SOMETHING TO THINK ABOUT: Don’t allow pride stop you from being all who God wants you to be. Pray, seek and ask God to remove those things that are on the inside which displeases Him. Change begins with YOU!